The image represents the portrait of a Tanala woman (Those who live in the forest): The Tanala populate the forest region located in the South East of the island between the coastal region stronghold of Antemoro and the Highlands occupied by the Betsileo. This group derives almost all of its resources from the forest. Hunting, gathering of plants and wild honey, but also the wood cutting, the traditional cultivation of rice on “tavy” (land deforested by fire) and coffee cultivation are the main occupations of this population of the forest … The Tanala have a traditional pharmacopoeia. So some healers know the virtues of several hundred species of plants. 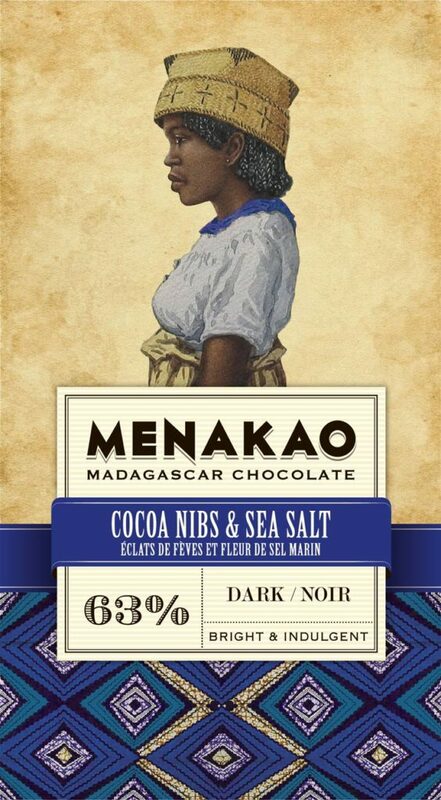 Madagascar cocoa beans, cane sugar, pure cocoa butter, bean chips, marine salt flower, emulsifier: sunflower lecithin. Possible presence of nuts and milk proteins.